“The best known among the shoe factories in San Vittore (Milan area) was the company founded by Gualtiero Natali. He owned a small workshop and produced twelve pairs of shoes a day in 1919. 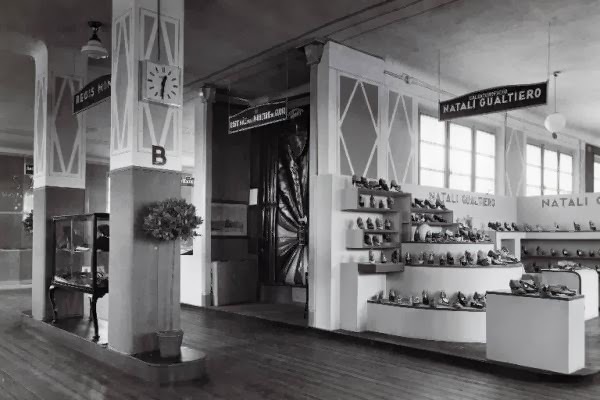 He built a modern plant in 1926 to increase the production, which was up to 900 pairs of shoes a day with 300 workers. A questo periodo risalgono diversi brevetti: nel 1935 un brevetto per una scarpa sportiva e specialmente da campeggio e il deposito, nello stesso anno del marchio "Turisanda". 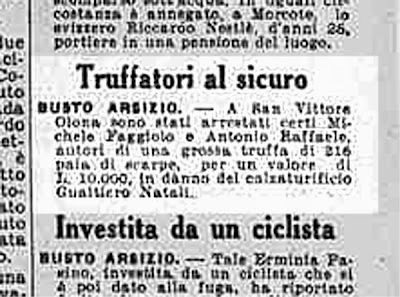 Il marchio Olimpia invece è del ’37, anno in cui, in Lussemburgo, fu anche registrata una "calzatura da donna o altro con il bordo della tomaia rivolto verso l'esterno, coperto con un bordo di pizzo". 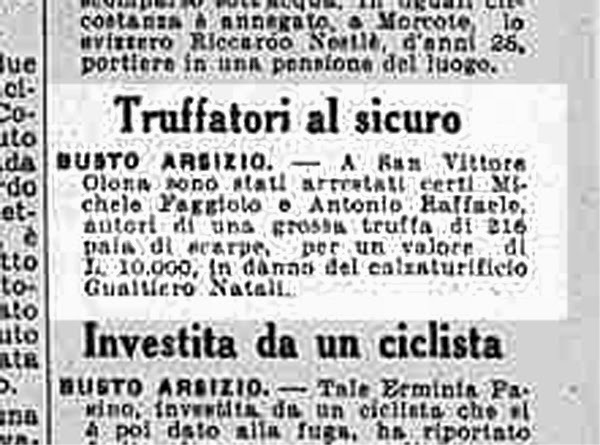 Nel 1939, nell'era autarchica, quindi in carenza di cuoio, una "Suola monoblocco in un sol getto di gomma a superficie zigrinata, con bordo rialzato a barchetta per contenere una calzatura da donna già confezionata." In this period they filed for several patents: an athletic shoe (especially for camping) and the trademark "Turisanda" both in 1935. The trademark Olympia was born in 1937. 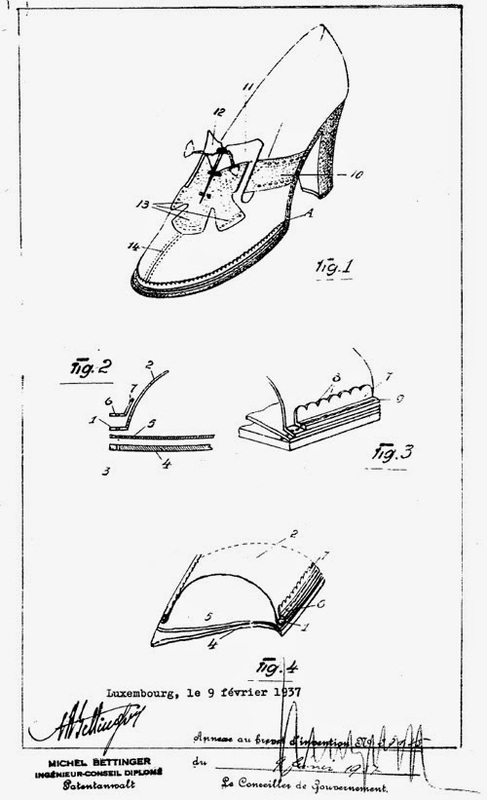 In the same year a patent in Luxembourg for a "women's or other kind shoe with the edge of the upper facing outwards, covered with a lace edge." In 1939, in the autarkic era of the Fascism, for scarcity of leather, a "sole in a single piece of rubber, knurled on the surface, with a raised edge to contain like a boat a women's shoe already made”. 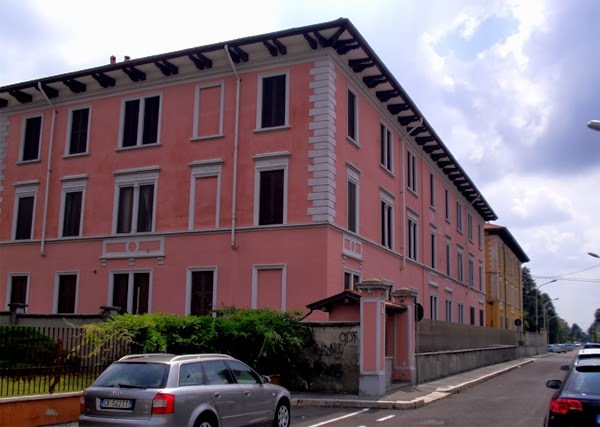 Un segno dello sviluppo dell'impresa è ancora visibile nel territorio di San Vittore, nelle due palazzine fatte costruire in via Manzoni come case per gli operai del calzaturificio. sulla facciata sono ancora visibili le date di fabbricazione, nel 1929 la prima, nel 1931, anno IX dell'epoca fascista la seconda. 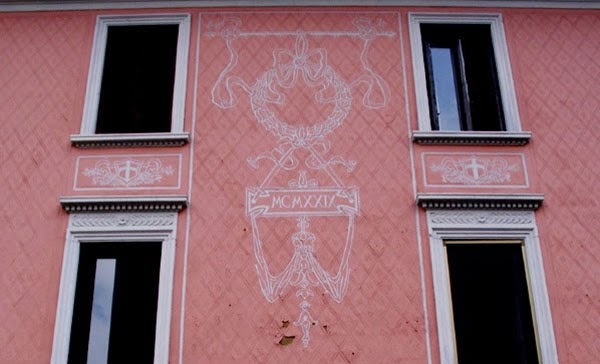 A trace of the company is still visible in San Vittore (Milan): these two buildings in Via Manzoni were built as houses for the workers. 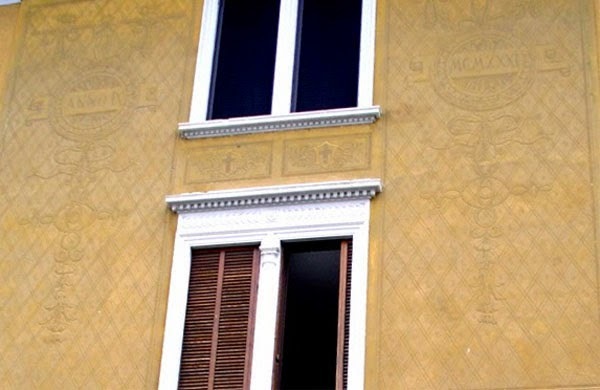 On the facade the construction dates: the first one in 1929, the second in 1931, “year IX” of the Fascist era. 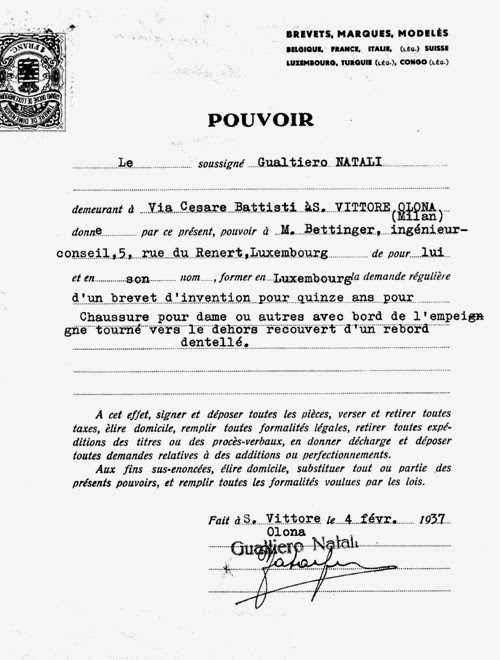 Il momento più nero della storia del calzaturificio risale al 1944, quando, a seguito degli scioperi durante l'occupazione tedesca, tre operai, Angelo Sciuccati, Giuseppe Martignoni e Bruno Uboldi vennero deportati a Mauthausen dai tedeschi e morirono in prigionia. The darkest moment in their history dates back to 1944 when, as a result of strikes during the German occupation, three workers, Angelo Sciuccati, Giuseppe Martignoni and Bruno Uboldi, were deported to Mauthausen by the Germans and died there. 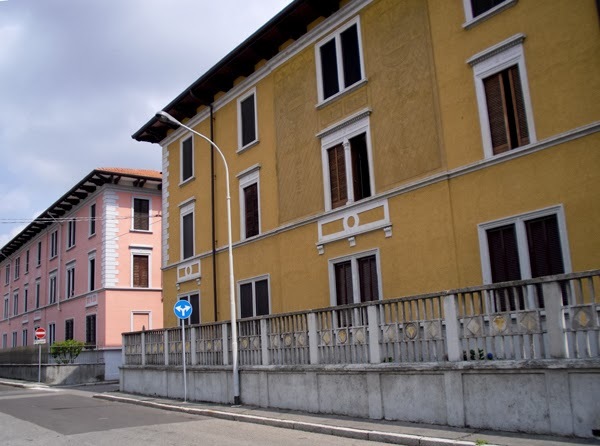 "Michele Faggiolo and Antonio Raffaele arrested in San Vittore Olona. against the Gualtiero Natali shoe factory"
La fine delle attività arrivò nel dopoguerra. Proprio nel periodo in cui invece stava per scoppiare il boom produttivo nel distretto parabiaghese. Gualtiero Natali closed shop after the war right before the beginning of the footwear boom production in the Parabiago area. 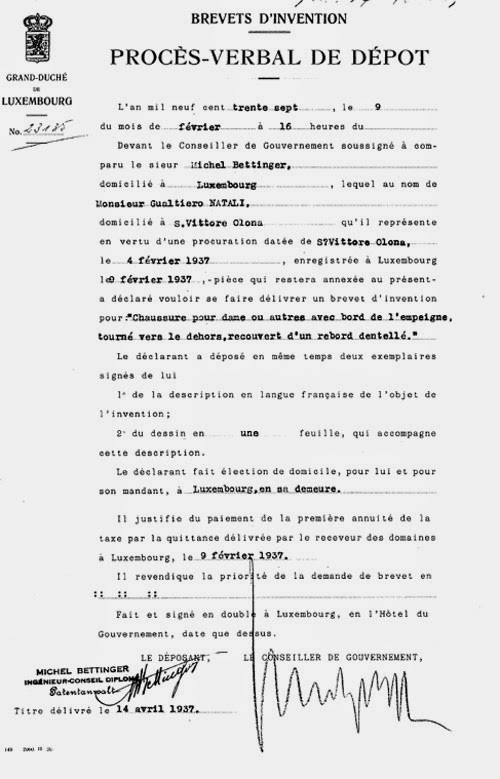 "After the war, the activity decreased significantly and the shoe factory was closed in July of 1952." Natali did not survive long after the end of the activities. A car enthusiast: in 1929 with his Alfa Romeo 1500 he won the Coppa Crespi race at Monza circuit in 1929 with an average of 141 km per hour. 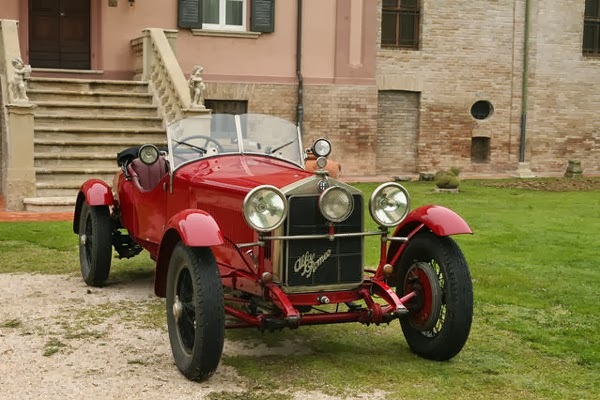 Furthermore he was ranked third in the race Tour of Sicily and seventh in the Mille Miglia. 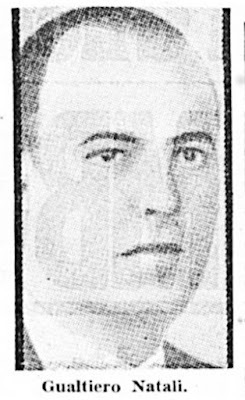 For a bizarre twist of fate, he died driving at high speed. In 1956, with a young girl singer and a friend, he crashed on the highway his Lancia Aurelia into a truck on his way back home after a night at the Casino in Saint Vincent. Fatto In Italia | Milano | Design by WOP | Copyright © 2010 - 2019 • TheHistorialist • All Rights Reserved | You are free to quote and share our contents and photos, as long as you inform us and link back to TheHistorialist. Permission not granted for commercial purposes.